In June, 2004, a team of three, including Colin Angus and his fiancée (now wife), Julie Wafaei, left Vancouver on their bicycles. 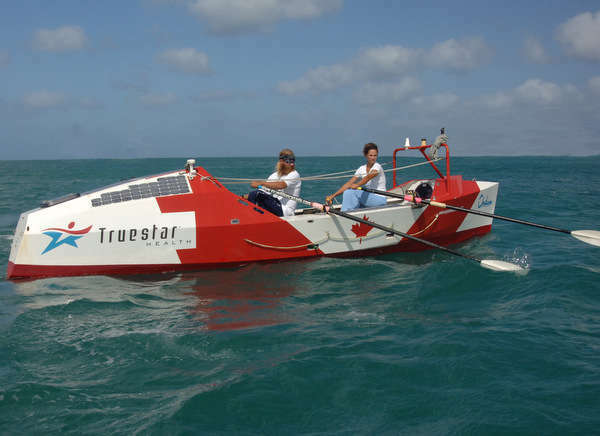 Nearly two years later, they rolled back in, looking like castaways, and having completed the first human-powered circumnavigation of the globe – a feat involving rowing unsupported across two oceans and trekking through 17 countries. The team cycled, skiied, canoed hiked and rowed a route that took them to Alaska, across the Bering Sea and the Siberian winter, across Europe from Moscow to Portugal, then across the Atlantic to Costa Rica–a 156-day rowing odyssey. From there it was a short 8,300 kilometre ride back to Vancouver. Along the way they burned through 4,000 chocolate bars, 72 inner tubes, 250 kgs of freeze-dried foods, 31 dorado fish (caught from the sea), 2 offshore rowboats, 4 bicycles, 80 kgs of clothing. 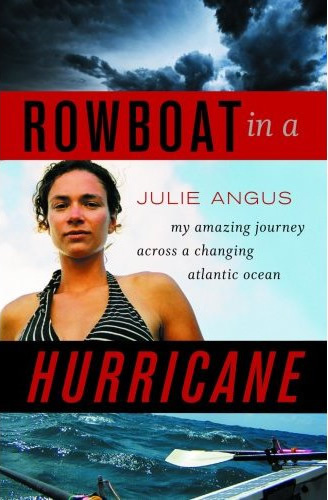 Julie completed most of the journey including a ten thousand km unsupported row across the Atlantic Ocean, becoming the first woman to row the complete Atlantic from mainland to mainland. Both Colin and Julie wrote books on this expedition. 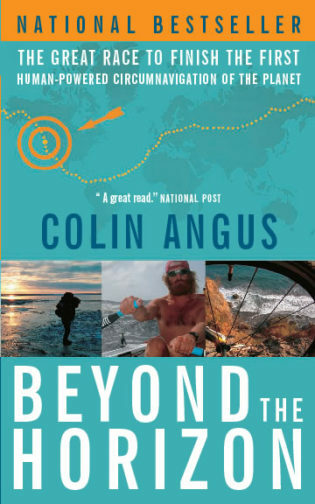 Colin’s book Beyond the Horizon covers the entire circumnavigation while Julie’s book Rowboat in a Hurricane focuses on the Atlantic crossing. Both books are available in most North American bookstores as well as online at retailers such as Amazon. Beyond the Horizon was also translated into German and published in Germany. 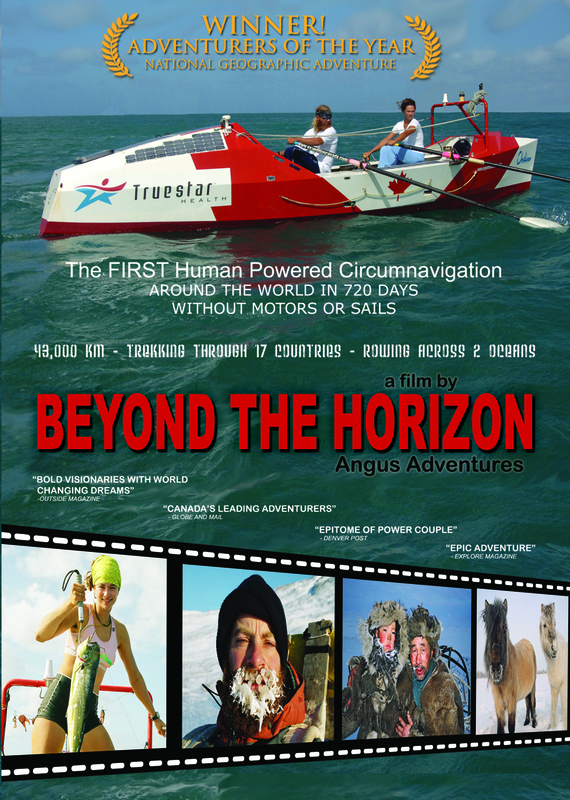 The documentary is available on Angus Rowboats.